Mombasa Governor Hassan Joho has accused Deputy President William Ruto of sponsoring attacks against him over his alleged involvement in drug trafficking. Yesterday, Joho dared Ruto to face him directly instead of sending his “subjects” to malign his reputation. Ruto allies recently launched attacks against Joho with Nandi Governor Stephen Sang and MPs Oscar Sudi (Kapseret), Kimani Ichung’wa (Kikuyu) and Didmus Barasa (Kimilili MP) linking him to drugs trade. Joho, through his lawyer, has written to the International Police Organisation (Interpol), seeking clarification on reports his name is in the list of wanted drug barons as claimed by his attackers. “It is therefore in our client’s interest, the interests of all residents of the county of Mombasa and the nation as a whole that your office informs us on the authenticity or lack thereof of the statement,” Joho’s letter to Interpol, through his lawyer DBM Mosota, says in part. He was referring to a letter circulating on social media and dated November 10, 2018, purportedly from Interpol. It lists Joho as a fugitive citing ‘statements’ from the ongoing trial of Akasha brothers in the US. Addressing the Press yesterday in Mukuru kwa Njenga, Joho said Kenyans could not agree to be led by a person such as Ruto. “I cannot engage in a war of words with those people because I know they have been sent by their master William Ruto,” said Joho. “I dare you Ruto. Stop sending your sidekicks, come out and face me yourself,” said Joho during a meeting at Mukuru kwa Njenga slums in Nairobi. The governor had accompanied ODM nominee for the Embakasi South parliamentary seat Irshad Sumra to seek clearance from the constituency’s Independent Electoral and Boundaries Commission (IEBC) officers. Joho said he would seek legal redress against the utterances by Ruto allies. In the letter to Interpol, Joho wants to know if he is being sought for charges of organised crimes, including drugs trafficking. This is not the first time Joho has called out Ruto in public – with their attacks against each other widely seen as setting the stage for a 2022 political showdown. Mombasa Governor Ali Hassan Joho has filed a defamation suit against Jubilee politicians; Nandi Governor Stephen Sang, Kapseret MP Oscar Sudi and Kimani Ichung’wah of Kikuyu for claiming he was a drug peddler. Following the suit filed by Governor Joho’s lawyers on Tuesday, Mr. Sudi, Mr. Sang and Mr. Ichung’wah are now required to appear at the Milimani Law Courts within 15 days. “Should you fail to enter an appearance within the time mentioned above, the Plaintiff may proceed with the suit and judgement may be given in your absence,” read the court papers. 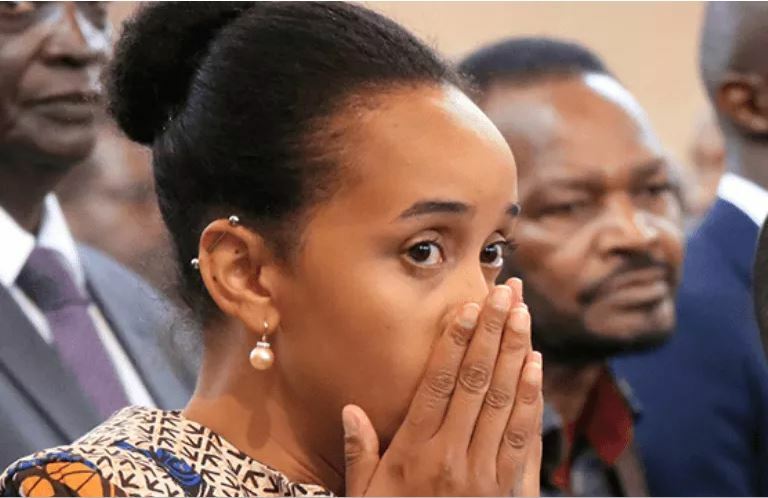 The trio, however, maintained their stand with Mr. Sudi, while addressing a press conference on the same day, urging Joho to instead apologise to Kenyans and the people of Mombasa for engaging in “unlawful” business. The Mombasa county chief, in a rejoinder on Monday, tossed Deputy President William Ruto’s name in the mix saying he (Ruto) was behind the attacks against him. Mr. Joho spoke at Mukuru Kwa Njenga after accompanying Irshad Sumra to have his name cleared by the Independent Electoral and Boundaries Commission (IEBC) to vie for the Embakasi South parliamentary seat. “I cannot engage these people that I do not know because I know they have been sent by their master; William Ruto. So the only thing I can say is let Ruto stop sending his subjects and speak alone,” said Mr. Joho. The governor’s lawyers have further written to the International Criminal Police Organization (Interpol) apparently seeking clarification over reports that his name is on the list of sought-after drug barons as purported by the trio.